HOW LONG IS UPPER DECK’S NEW DEAL? IS IT GOOD FOR THE HOBBY? AND WHAT COMES NEXT? WE ASKED UPPER DECK SPOKESMAN CHRIS CARLIN TO ADDRESS THESE AND OTHER PERTINENT CONCERNS IN THE WAKE OF THE COMPANY SECURING A NEW EXCLUSIVE LICENSE WITH THE NHL AND NHL PLAYERS ASSOCIATION. 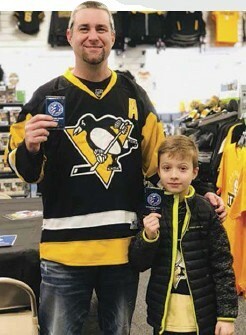 National Hockey Card Day is all about bringing families together to share the hobby fun. 01Beckett Hockey: Can you tell us how long the new agreement runs and whether we will see any change in the number of brands released each season? Chris Carlin: While we’re not at liberty to share the full length of the deal, we can say it is a multi-year exclusive. One thing Upper Deck has prided ourselves on is making collectible products with brands that have strong hobby equity. Therefore we have been very careful about the total amount of releases we make during a given season. 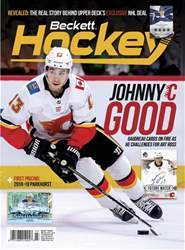 That said, we are always looking at opportunities to keep hockey cards top of mind with fans so when opportunities arise to bring a set of trading cards to Tim Hortons or Canadian Tire, that’s a great opportunity to engage new users. When Wal-Mart is interested in an exclusive product, that’s a great time to bring back a brand like Parkhurst and that’s been going great every year.